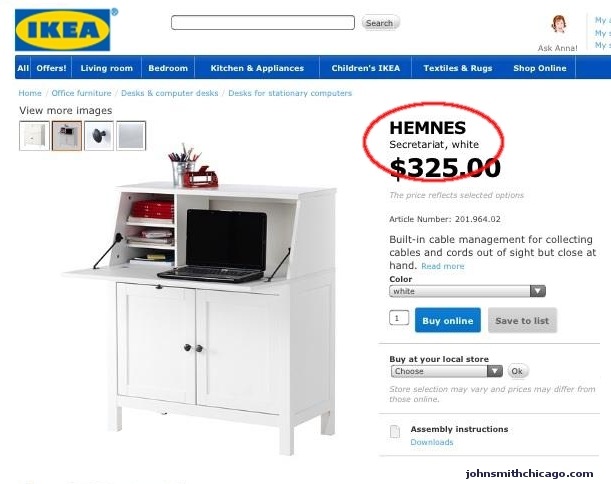 At first I thought this ad for an IKEA secretary was a typo – but then I heard about the IKEA horse-meat/meatball scandal. Now I have to wonder: is this stylish and affordable writing desk the final resting place of that beloved race horse Secretariat? I‘m also starting to wonder about those IKEA Sea Biscuits.